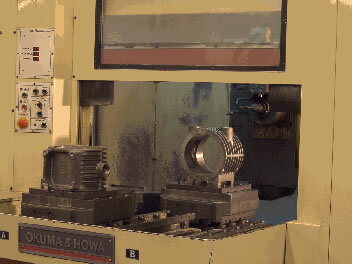 Our Okuma & Howa 65V is the largest of 13 machining centers. 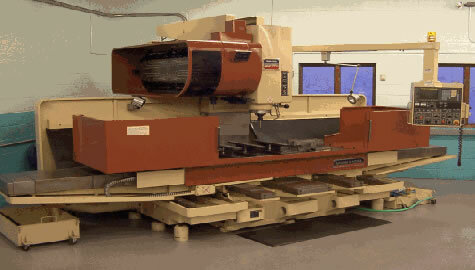 This machine has a maximum table travel of 80 inches in X and 25.5 inches in Y with table weight capacity of 4400 lbs. Spindle speeds range from 20 to 3600 rpm with a 30 tool magazine. 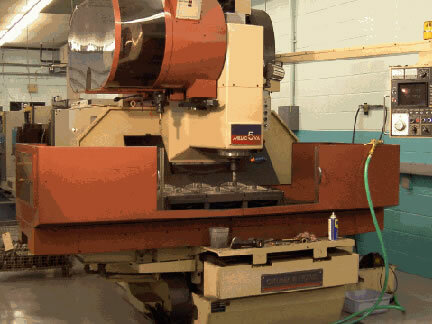 Our two OKUMA & HOWA 5VA machining centers each have a capacity of 40"x25"x21"